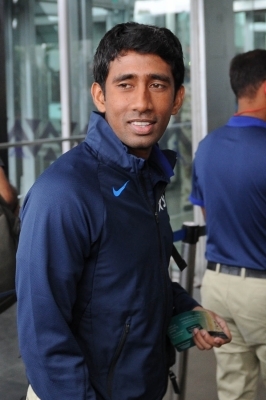 Kolkata July 19 (IANS) India wicketkeeper-batsman Wriddhiman Saha on Wednesday said that new coach Ravi Shastri has always had a "positive" mindset when he was the team director and that he was looking forward to working with him again on the Sri Lanka tour. Shastri took over as India coach from Anil Kumble making this his third stint with the national team. The 55-year old former India captain was earlier the manager during 2007 tour of Bangladesh and then team director from 2014 August to 2016 June during which India won an overseas Test series versus Sri Lanka reached the semi-finals of 2015 World Cup and World T20 semi-finals in 2016. "He is a very positive coach. When he was team director he always used to tell us to back our strengths and not be defensive " Saha an integral part of the Test team told IANS moments before leaving for Lankan shores. Asked if the change of hands will bother him when he enters the dressing room Saha said: "Whether it s Ravi bhai or Anil bhai both will want the team to do well. We also want that as players. Now every coach has it own way of giving inputs. That is to be seen. "Our job is to perform on the field. 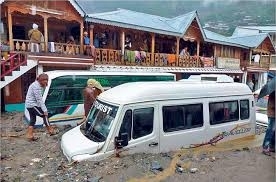 I don t think changing of coaches will make much of a difference " the 32-year old stumper said. Saha had a long break after the Indian Premier League (IPL) as India took part in the ICC Champions Trophy where they lost to Pakistan in the final and then toured the West Indies for five One Day Internationals (ODIs) and one T20. "I was playing the local league here (for Mohun Bagan) and have had practice. Yes rain did eat up much of the time but it s not that if I had those extra sessions I would have done something out of the ordinary in Sri Lanka. "We will be playing practice matches there as well and that will be crucial before the first Test " Saha said. Virat Kohli s men last donned the white flannels in March against Australia in a bitterly-contested four match Test rubber. India came from behind after losing the first Test by 333 runs to script a 2-1 verdict. "We are playing Tests after a while. We would want to continue the way we played the last time. I don t think the break is a problem. A tour is always a platform to rise to the occasion as a team and as individuals. We have done well in Tests recently and going by current form we should do well in Sri Lanka " Saha signed off. India play Sri Lanka in three Tests five ODIs and one T20 between July 26-September 6. The first Test is at the Galle International Stadium.